What an amazingly heartwarming story told from the POV of two products of abuse. Tatiana Rand 17, who is currently going through it by the hands of her Russian born and raised father who moved here to the United States. He brought her here when she was a baby. She was led to believe her mother never wanted her. As her father became more disheartened with his own life he took it out on Totty. 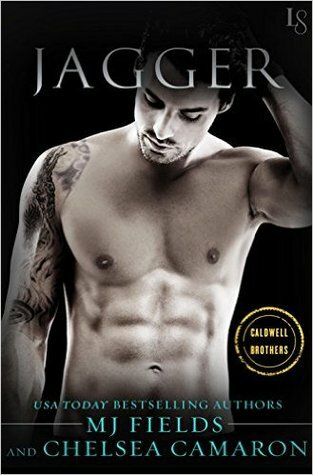 Jagger Caldwell an underground MMA fighter rented an apartment next from her slumlord father even though he could afford a better place but his thought was always why pay more money for a place where he was just going to lay his head and use the restroom. It just turned out that the landlord lived next door and most nights he got home so late from a growling workout getting ready for a fight or wasted from partying. Most nights he could drown out what he was doing to his lady next door although he wanted to bust in and do something. He knew it wasn’t his fight. On this night he wasn’t able to do that. He was in the wrong frame of mind to be hearing a female get knocked around. He knew jail time was more than likely coming but not stepping in was not an option he had to do something. After several minutes he couldn’t do it. He broke in the door. As he did he saw a small figure cowering in the corner of the hallway. Her hair was all matted from blood, her eye is bruised and busted, and so is every place else. When he sees a huge monster of a man ready to swing a belt at her again. All he remembers is his anger going full force. Jagger lunges at him knocking him to the ground. Then punching repeatedly and seeing his blood spraying. Once he knew he was out he gets up and goes to the young women. Helps her up then sees how young she is. He asks her age she says just turned 17. He gives her his card and says if she ever needs help again to call him at any time that the number is to his family’s bar. They will know how to contact him at all times. Then says they need to call the cops. When Totty’s dreams of leaving or being rescued are shattered. She knows that since she is a minor they will send her to a home or worse back to Russia because that is what her father has been telling her over and over for years to keep her in line and under his thumb. So she stays taking her chances with the beatings in hopes of making it to her 18th birthday. She sends Jagger away since her dad is waking up. When he wakes he wants to press charges. You got it on Jagger. They ask Totty about the abuse but she doesn’t talk for fear of her father and being sent into the system. There is a restraining order against Jagger and now he doesn’t have a place to live. He does but he doesn’t. (With Shaw the gym owner that raised him better than his own father.) Which made him become obsessed with Totty’s wellbeing. So from afar she has become his favorite pass time. After several months he starts getting small gifts to her via a neighbor. In his head it was just carrying out the legacy his mother left behind to help those in need especially women who can’t take care of themselves when being abused. His mother had died of ovarian cancer and since she had lived through abusive marriage he wanted her boys to be kinder and gentler men to their women. 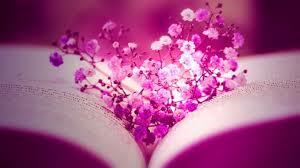 Not knowing that each day was bringing him one day closer to love.